U2 can look back on a long musical career. Her unique style at that time was decisively influenced by Adam Clayton's powerful and concise bass playing. His flawless groove formed the sonic foundation of one of the greatest rock bands in history. 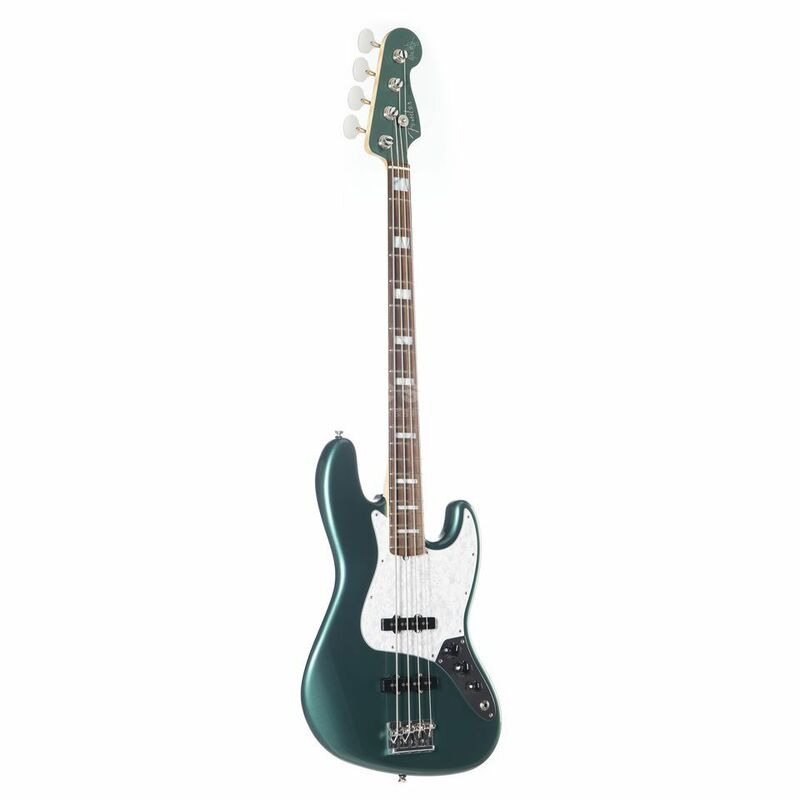 After Bono and The Edge also belong to the squad of Fender Artists, Adam Clayton gets another US Artist Jazz Bass. The AS Adam Clayton Jazz Bass has an elegant look with a matched headstock and pearl block inlays in the rosewood fingerboard. The two Jazz Bass pickups come from the Fender Custom Shop and produce a powerful sound with a balanced frequency spectrum. The vintage version of the High-Mass Bridge offers the possibility to lead the strings through the body or only through the bridge.